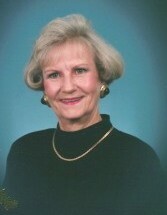 Timmonsville, SC – Flonnie Carraway Stephens, 85, passed away on Monday, March 18, 2019. A memorial service will be Friday, March 22, 2019 at 2:00 p.m. at Sardis Baptist Church, Timmonsville. Burial will follow in the church Cemetery. A time of visitation will begin at 1:00 p.m. before the service at the church. Flonnie was born in Florence County, the daughter of the late John Baird and Julia Hill Carraway. She was a member of Sardis Baptist Church. Surviving are her husband of 67 years, J. Lonnie Stephens; two sons, Lonnie Daryl Stephens, Gregory Jason (Colleen) Stephens and a number of grandchildren. She is preceded in death by two brothers, Tommy Carraway and Arthur Carraway. The family would like to thank PPSI and McLeod Hospice for the care and support they received during this time.